It is hard for me to believe we are already in to February. Where did January go? My Mother told me when I was young and wishing for my birthday, Christmas, or school to be out that time would go a lot faster when I grew up. She was right, as always, and time now really get away in a hurry. I am looking forward, but not wishing my life away, to some great drum shows this year. I hope you can attend one in your area this year. Keep watching for the places and dates to be listed here in the magazine. Getting together with other vintage and custom drum collectors and players is always fun and educational. 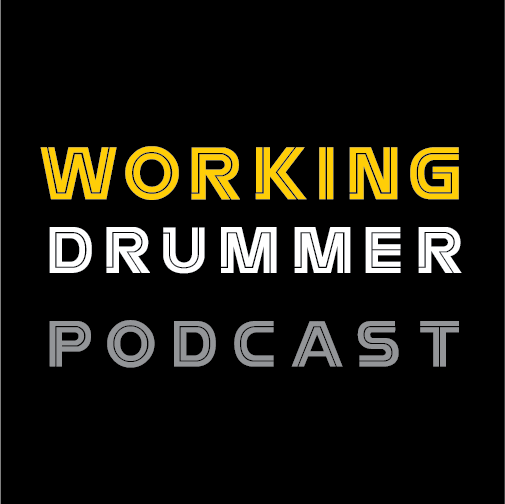 I am constantly learning information about vintage drums from my drum collector friends. A lot of my contacts and friends were made at drum shows. I decided to feature a set this month for your enjoyment that I recently acquired. It's an early 1960s English Rogers set in rare Madi Gras finish. 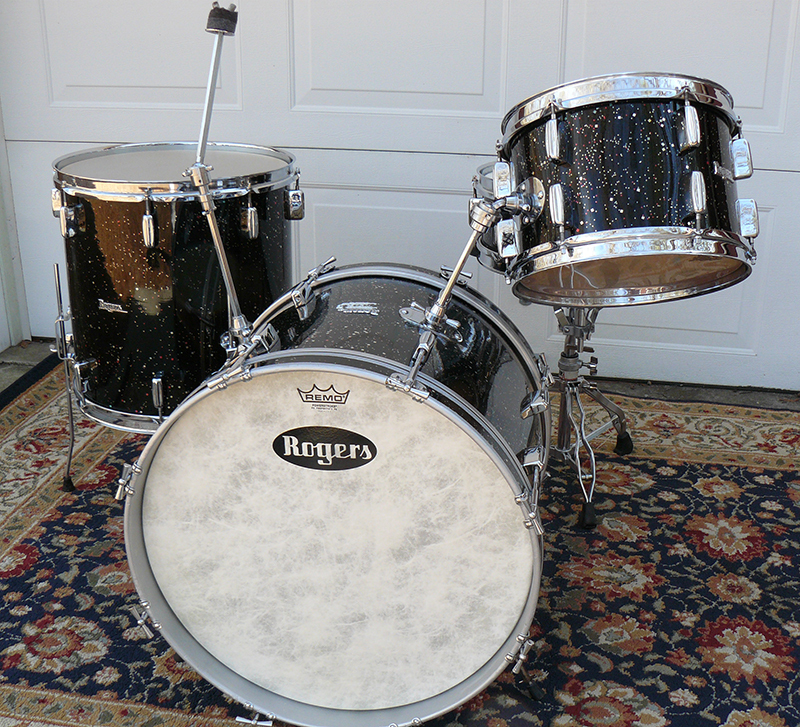 I have wanted a Rogers or Slingerland set in Madi Gras finish for years. I just love that finish. By the way, Madi Gras is this month in New Orleans. I've never been to Madi Gras, but I have that trip on my bucket list, but back to my desire for a Madi Gras drum set. I have been looking for a Madi Gras set to add to my collection, and as I was searching E-Bay a few weeks ago a set was there for sale. I really wanted them and had decided to place a bid when the end of the sale came around. I usually wait to bid until the end of the sale. I have jumped in right at the beginning, but usually I wait. Maybe you could leave a comment and share your E-Bay bidding strategy. The Madi Gras set on E-Bay was a Rogers set and that was fine with me. It's no secret to my readers that I love Rogers drums. While I was watching that set, another Rogers Madi Gras set showed up on Facebook. The set for sale on Facebook was the English Rogers set I am showing you. Yes, I made a deal with the seller and he shipped them to me from Canada. I am so excited about them. English Rogers drums were made in the 1960s at the Boosey & Hawkes drum factory in London. They had Ajax three ply shells with reinforcement rings. The interiors are clear coated not painted like American Rogers. 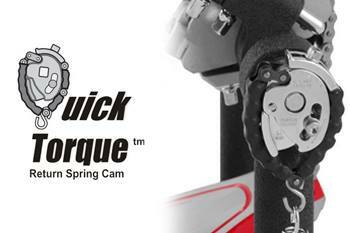 The lugs are Bread and Butter style, and the mounts are Swivomatic style, but they are different from the USA parts. The Madi Gras finish is also different from the American version, not as busy. The script logo badges also look different. The sizes of this set are: bass drum 20"X15", floor tom 16"X16", mounted tom is 12"X8", and the matching snare is 14"X5". Many of you know that Dave Clark of the Dave Clark Five played English Rogers drums. 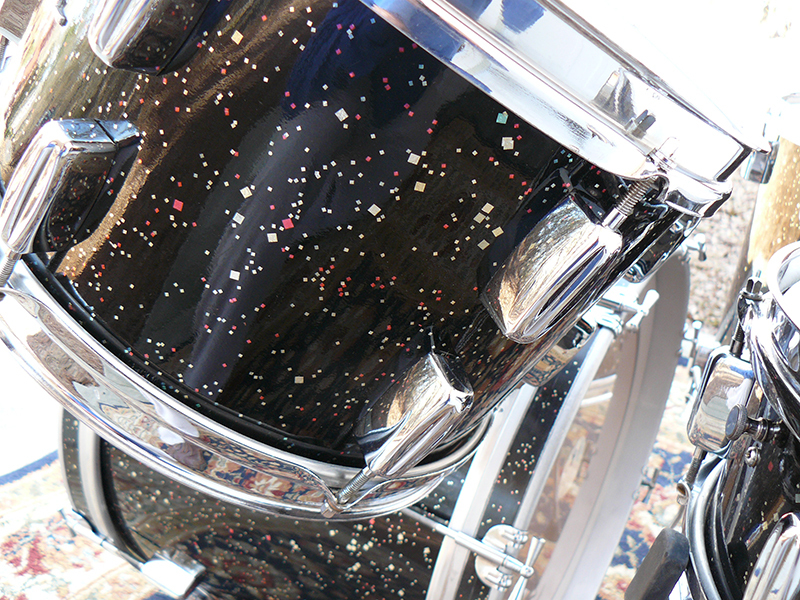 English Rogers drums were not a huge success, but they are very cool drums. 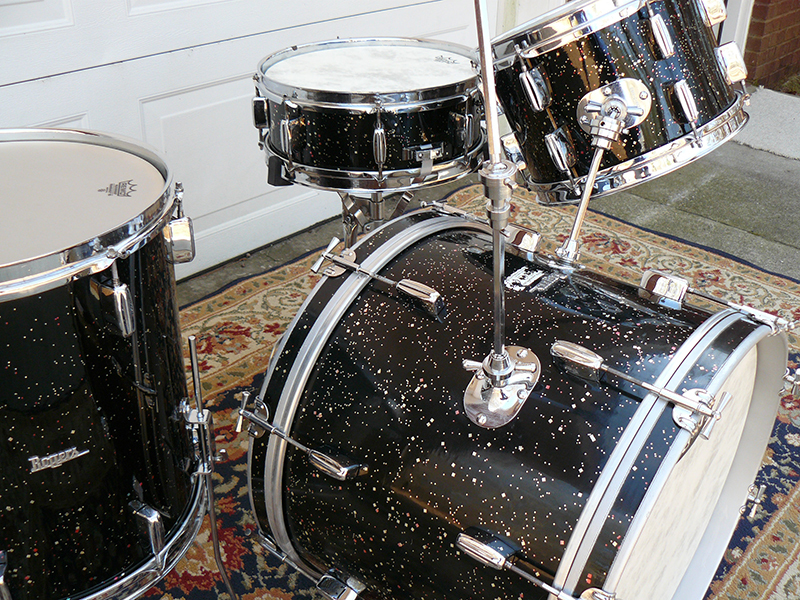 Many collectors want to have a replica of John Bonham's set or a Ringo's set. I would like to have a red sparkle English Rogers set with a Dave Clark logo head. He was one of my greatest influences. My set was owned by a member of the Toronto Symphony who brought them from England. When he returned to England to retire he left the set in Canada with a new owner. There is a cool Drum City London sticker on the bass drum. I was tempted to try to finish removing it. It looks like someone started to take it off but didn't go through with it. I have decided to leave it. It has been there fifty years, and it adds to the story of the drums, so for now the sticker stays. 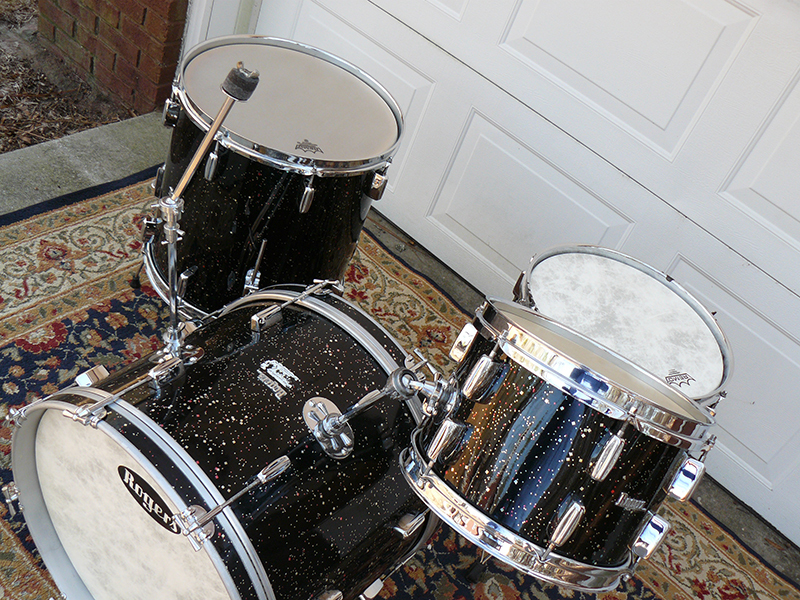 The man who helped me buy these drums from the owner who acquired them from the symphony percussionist was a super guy. He did a great job handling the sale and shipping the drums from Canada to my door. I want to thank him again for the great job he did. Leave a comment if you have an English Rogers set or if you liked Dave Clark Five. 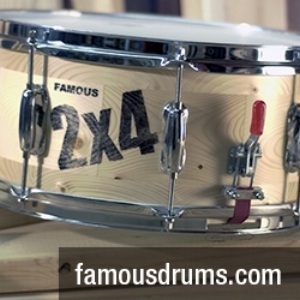 Keep looking in those unusual places for a great old drum.